Total Orthopaedic Care offers leading-edge medical therapies like PRP and biologic treatments. Platelet-rich plasma (PRP) is derived from your own blood. This plasma contains healing components, including platelets and human growth factors, which stimulate healing at the site of injury. The plasma is isolated, or concentrated, by spinning the blood sample in a centrifuge. It is then re-injected into the target area in order to trigger a healing cascade. Adult stem cell therapy is an innovative new form of regenerative medicine. Instead of relying solely on medications, surgery, and other traditional therapies, regenerative medicine focuses on activating healing factors within your own body. 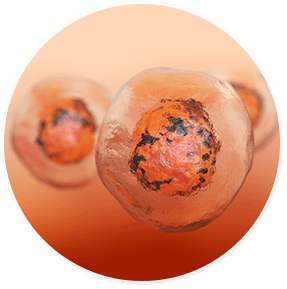 Stem cells are undifferentiated, meaning that they can become many other kinds of cells, depending on where they are located or placed. When we are young, we have many available stem cells to help repair and replace tissue damaged by injury or disease. As we age, the number of stem cells starts to decline. That is one reason why a child’s broken bone may heal many times faster than that of an 80-year old. Certain areas of the body, such as fatty (adipose) tissue, are still rich in stem cells. Others, like bone marrow or blood, also contain stem cells, although not as many. Modern medicine has found ways to harvest and utilize the incredible healing power of your own stem cells. Stem cell therapy is safe and effective. Adult stem cell treatments can be used in conjunction with PRP therapy, physical therapy, or with surgical procedures such as a joint replacement or rotator cuff repair, to speed healing to damaged tissues. It is also used as an effective stand-alone therapy for a wide variety of disorders. Don’t let an orthopedic injury or condition sideline you. Call Total Orthopaedic Care today at (954) 735-3535 to see if you might be a candidate for Biologic or PRP therapy. To schedule an appointment, you can call us or use our secure online appointment request form.